insane Tornados ripped through the city. and crazy loud thunder right above your head. some roofs have been torn off. are seeing more of this lately. of clawfoot tubs and serene bathing spaces. the natural wood pop in this master. Isn't the mantle wall shelf creative. Who can resist a chandy on the ceiling. 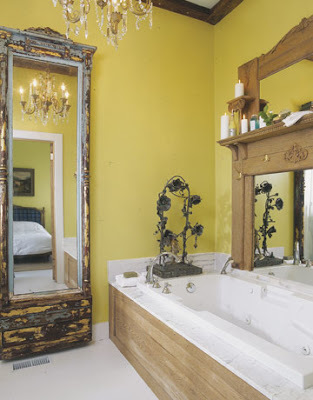 the velvet chair and the rococo style gilded mirror..
Those glass doorknobs are awesome! Lovely pictures! 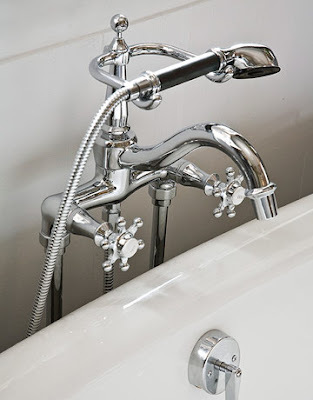 I need a house with about 10 bathrooms so each can be distinctive and I can have all the different things I like without putting them all in one space. 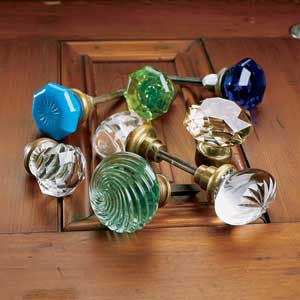 Love your new glass knobs, too. 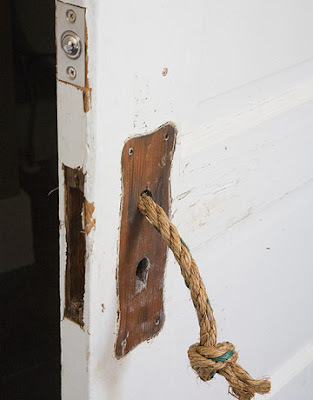 They are so much prettier and more interesting than boring, regular door knobs. Glad you survived the tornados. We don't have those here. No, we just have earthquakes and mudslides! Oh yeah, and fires. Extreme weather does scare me I have to admit. We had a series of heavy thunderstorms in July, but it's been calm since. the downside of summer, right. 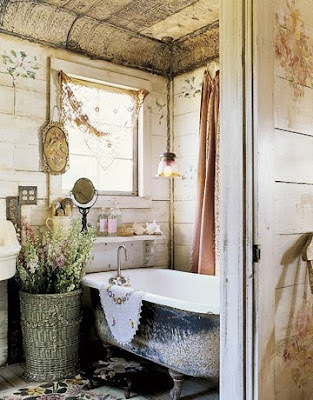 I'd love to have a bathroom that opens into a garden..., imagine..., out of the tub into the fresh air of your own private outdoor space. Nerina! Sorry to hear about the storms and the damage...I'm glad you are okay!!!! 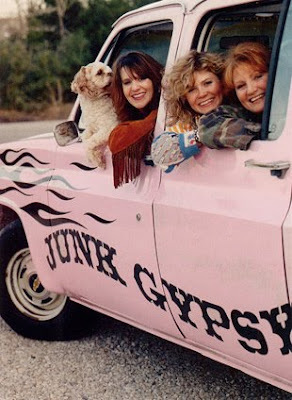 I hope you have a wonderful weekend and I hope your city has a quick recovery. it sounds like you had some scary weather. I'm glad you are safe and well. 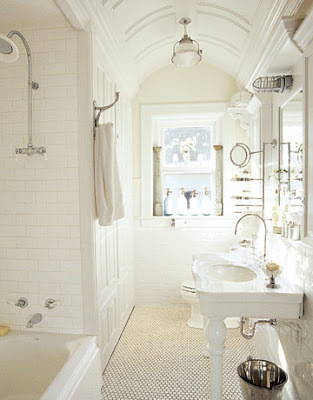 Love all the beautiful bathrooms, I wish mine looked like one of them! you wouldn't believe how many of those bathroom pics i have torn out and put into my dream book! 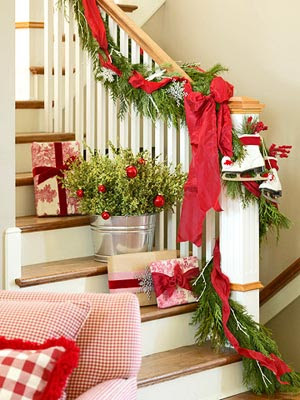 that first one is the most enchanting...i'm sure that it is in an ivy~covered home that is tucked deep into a forest...lovely. I love those photos! Jeweled door knobs are one of my favorite things! That's terrible about the storms. Thanks so much for stopping by mine.. was a pleasure to meet you! 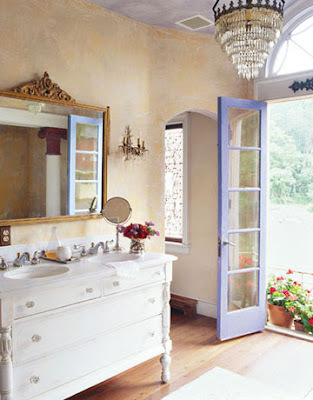 Lovely photos - really adore the glass door knobs! Hope you have a great weekend & the storm's over...! I see we are both Virgos and 46 y/o...and appreciate Decor. I trust you will often find my Blog entertaining, that is what I enjoy doing for folks. Your comments are funny! 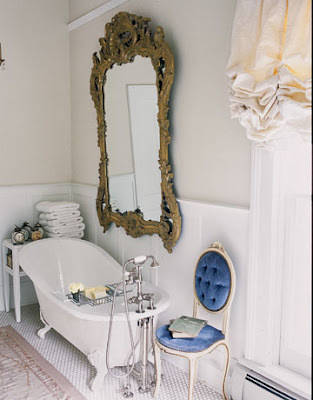 What a wonderful powder room tour! I was crazy about the one with the domed ceiling...What fabulous architecture. 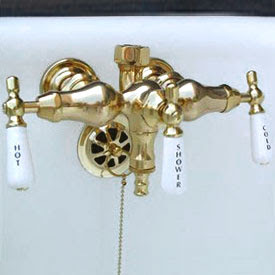 Mmmm, some beautiful baths. 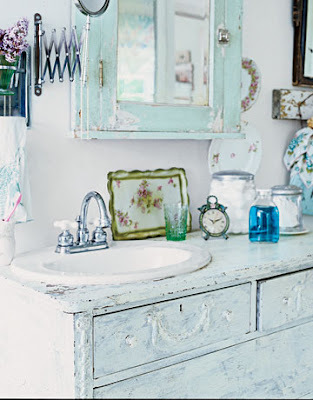 I'm in need of a bathroom makeover and there's some wonderful inspiration here. Thanks for sharing.